The following day, R-M moved to Sylvania, Ohio, to reveal new car models at the spacious (above, below) one-day Toledo Collectors Toy Fair. 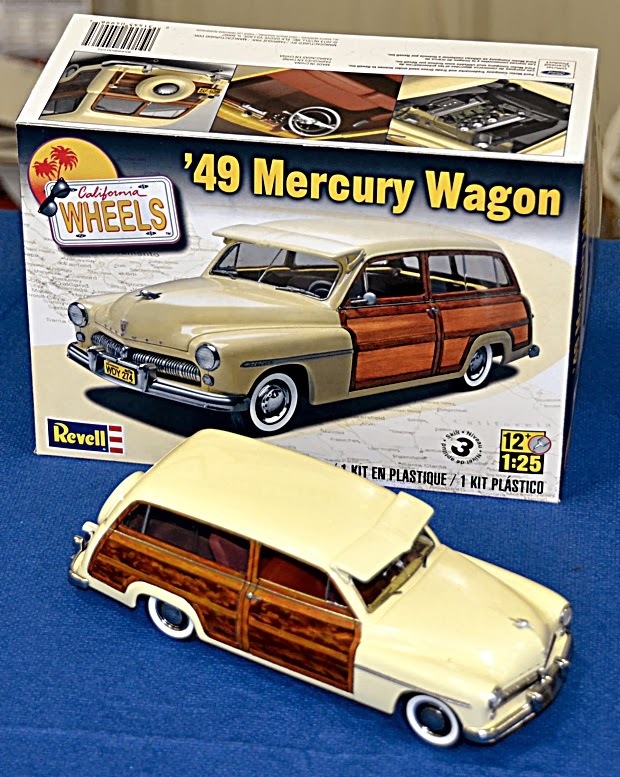 A variation (above) on the existing Revell 1949 Mercury kit. This time it’s a station wagon, in ‘woody’ form. The 1968-73 TV series ‘The Mod Squad’ featured a similar car, actually a 1950 version. Aurora made a kit of it, and as with most Aurora kits, this has become a real collectible item. 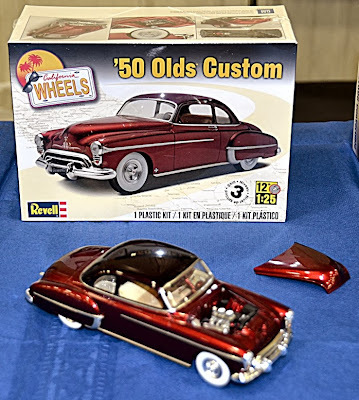 If you are determined have this Star Car in your collection, you could use this new kit instead. 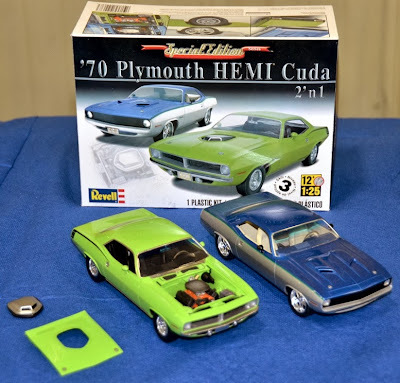 New version of the 1970 Plymouth Hemi Cuda 2'n1 kit (above) this time a hardtop. Two versions can be built, with different hoods and grilles. California Wheels 1:25 scale kit of a 1950 Oldsmobile, modified into this handsome custom version. This is an interesting reissue. 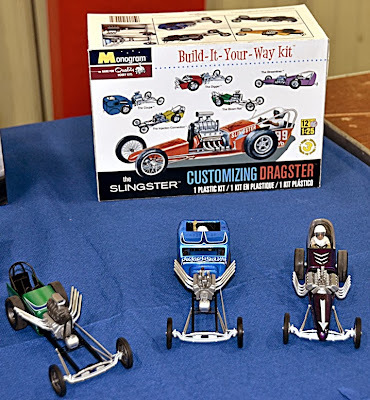 It’s the old Monogram dragster kit originally called the Sizzler. 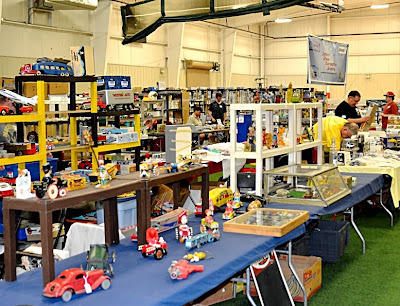 This name however now belongs elsewhere, so the kit has been renamed, Slingster. 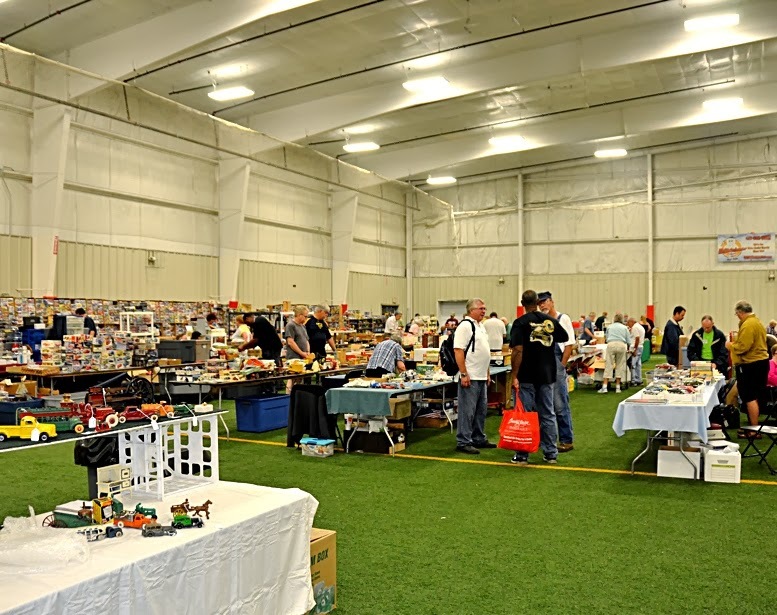 But the rest of the kit remains the same and, as the variations on display show, can be built in a variety of forms. 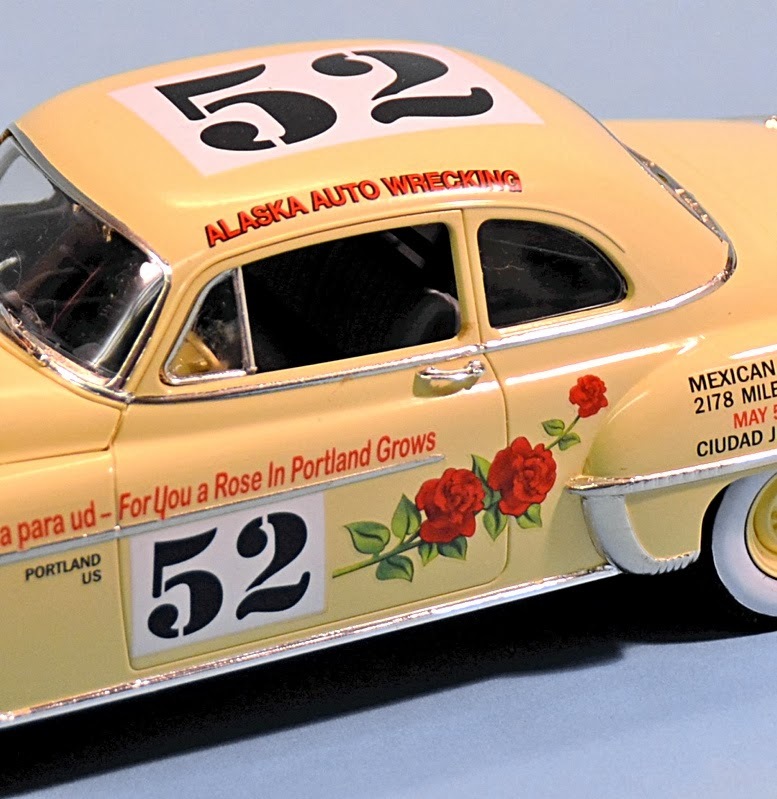 You can only build one finished car, but you have at least six different bodywork combinations to choose from. Only one point - it is listed as 1:25 scale, whereas, being an original Monogram production, it would have been 1:24. But for generic dragsters such as this, this nicety can probably be overlooked. 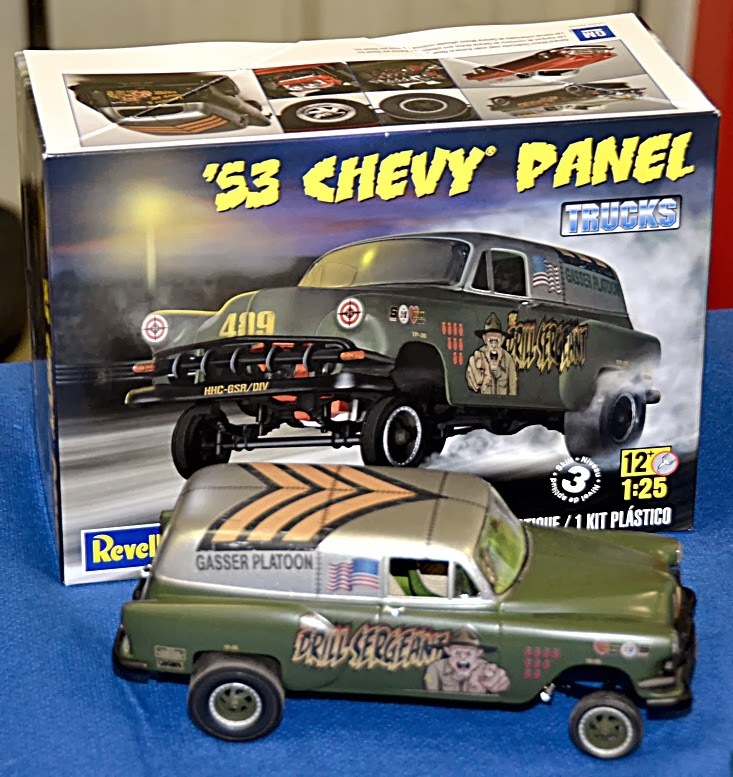 The new name is appropriate, as the dragster style - where the driver sits at the back, over the rear axle - is known as a slingshot. 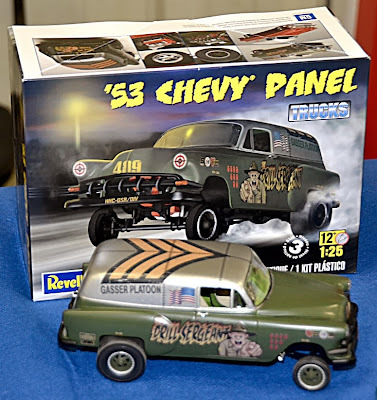 A variation on an older Revell kit, the 1953 Chevy Panel Truck dragster. This time simulated US Army markings make for a different look. 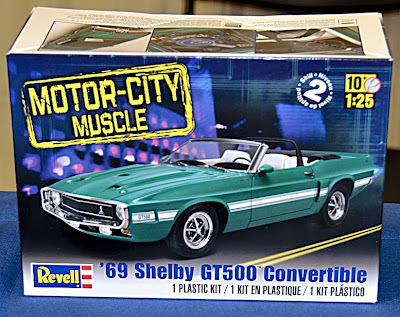 Softop 1969 Shelby GT500 Convertible, produced in the Motor City Muscle series. 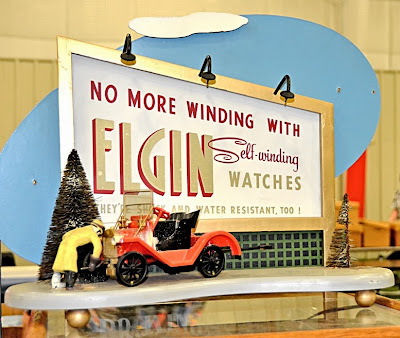 This type of shop advertisement used to be common, and yes, it works - when switched on, the man cranks the car! 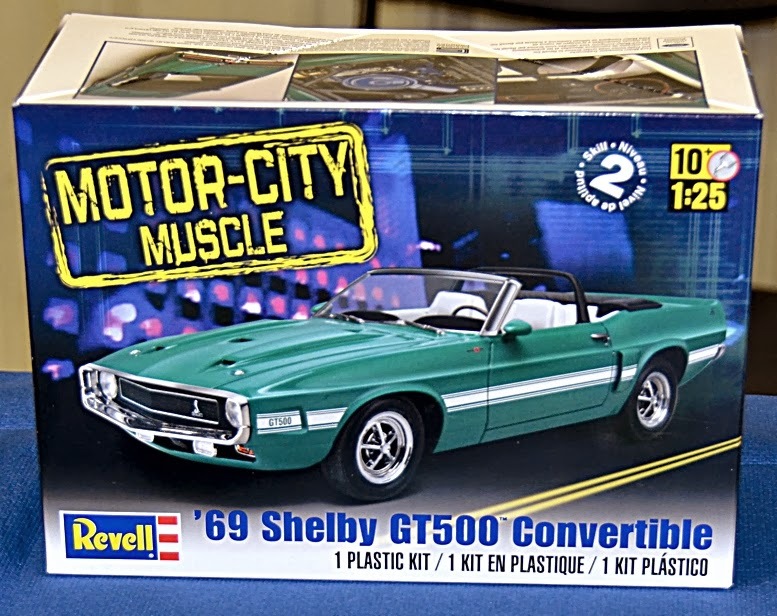 Plenty of Revell car kits to view here. 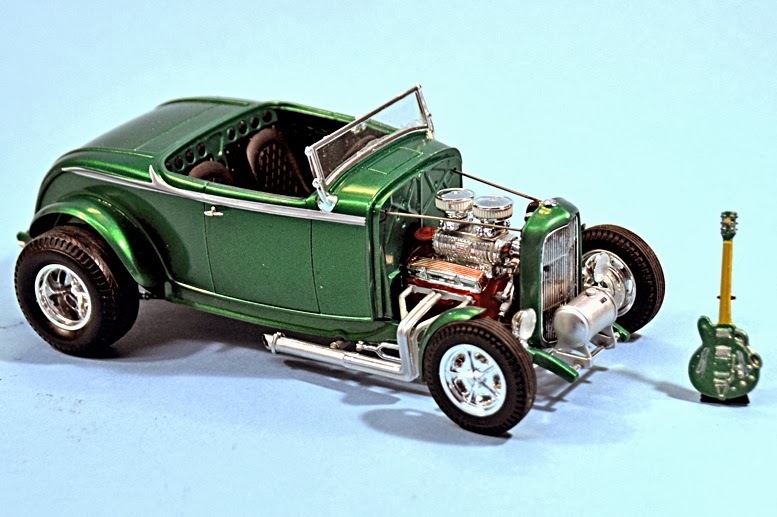 The Stacey David Rat Roadster to 1:25 scale (above, header pic) is a 1960s-style custom roadster, with 148 components, assembling to a built length of 171mm (6.765in). 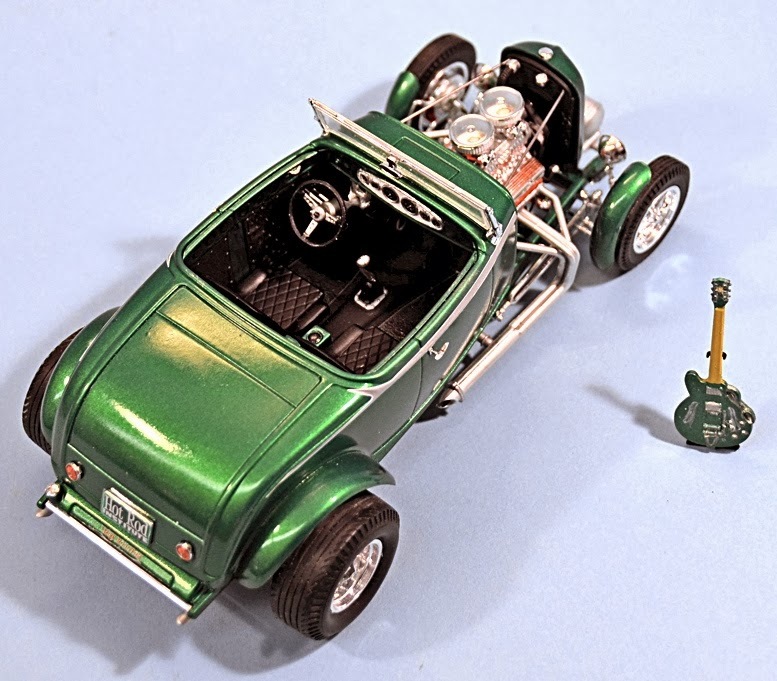 A neat display feature is the included electric guitar, and there are plenty of optional parts. Decals are provided to match Stacey David and his Gear Z show. 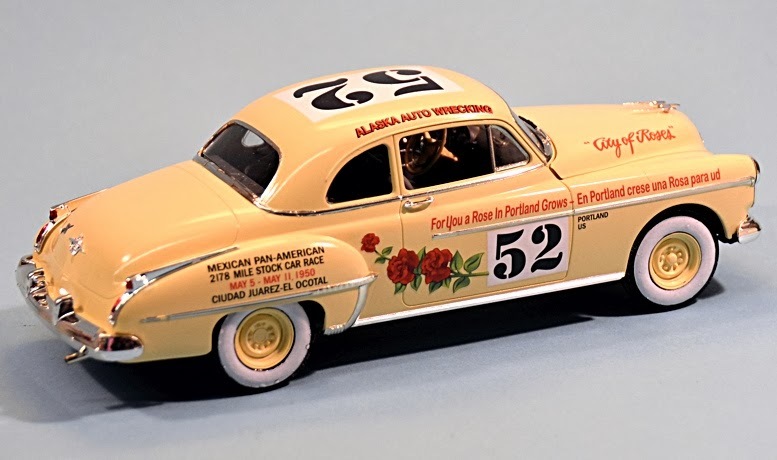 Revell 1950 Olds, produced in Pan-American Stock Car Race form - love the roses!